Made out of navy canvas material filled with polka dots. Decorated with a pink leather butterfly. 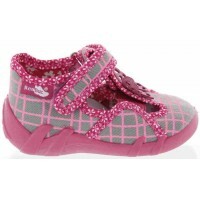 Best ortho house shoes for a child with high ankle and arch support. Millions of kids wear them form baby to toddler years. 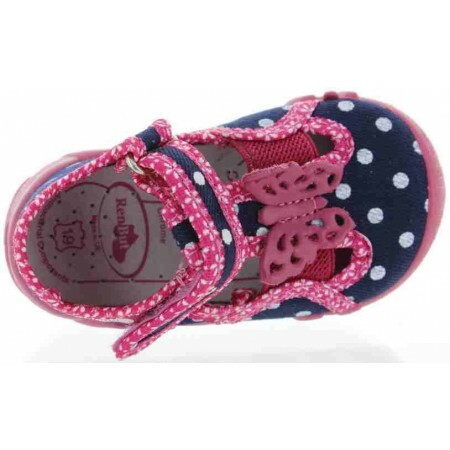 They are best house shoes that you can buy for a toddler. Tiptoeing kids best slippers for a baby. 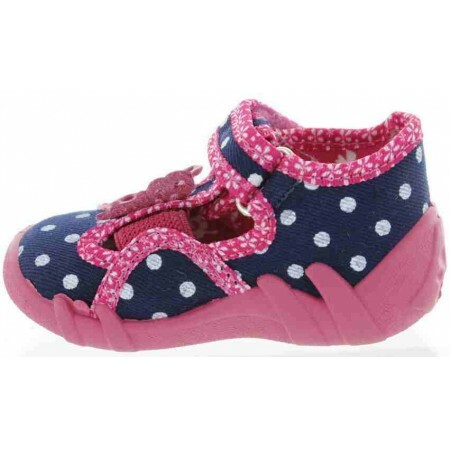 Gray canvas material filled with pink linesOrthopedic baby slippers with heel support.Decorated with a pink leather butterfly. 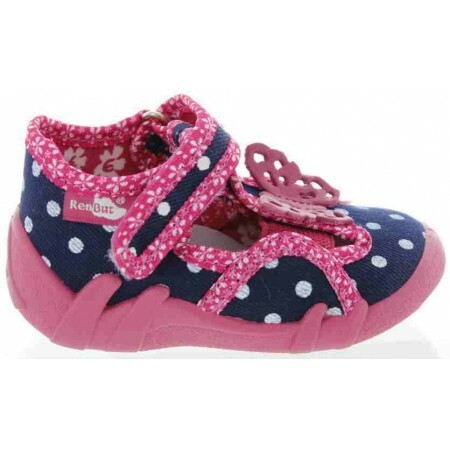 Not only adorable but practical and very supportive.Check out the sole - back is high.. 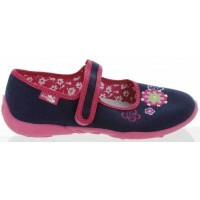 Girls pediatric slippers Navy color with frontal flowers. 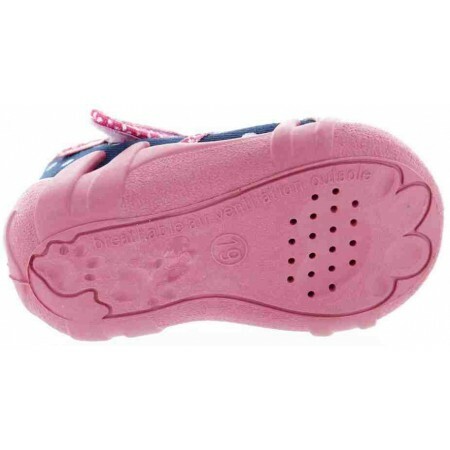 Will not sweat in those house shoes as they breathe well due to good sole. No mold growing inside as they filtrate the foot to the fullest. Soles with traction for walking. House shoes for da..